The Ibis Thalassa le Touquet is closed for works. See you in 2019 to discover your new hotel. 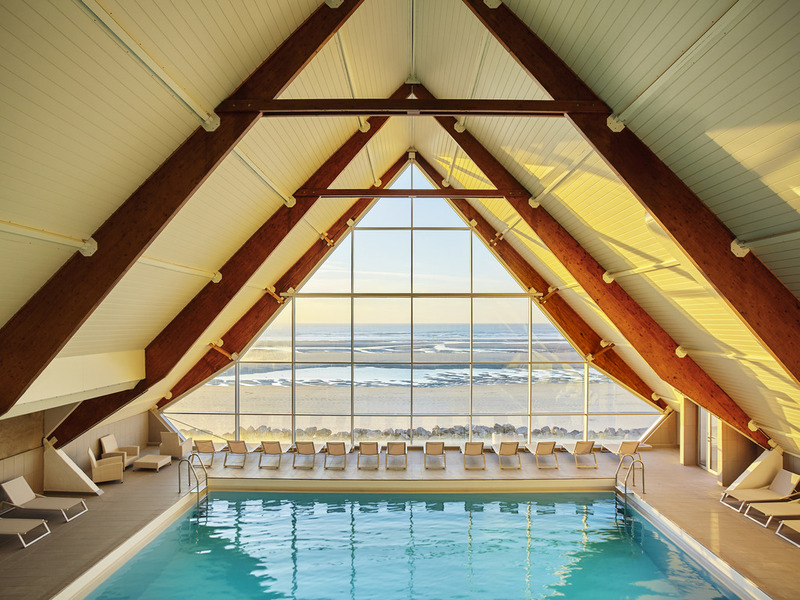 The ibis Thalassa Le Touquet hotel is a 3-star hotel with an exceptional waterfront location. The hotel has 91 comfortable rooms with views of the sea or sea wall and free WIFI. "Le côté plage" restaurant will serve you throughout your stay or thalassotherapy weekend and entice you with local cuisine. The heated seawater swimming pool and fitness room will be closed until July 31, 2018. During your stay at the ibis Thalassa Le Touquet hotel, we invite you to discover Le Touquet city center, just a few minutes from the hotel. Enjoy the golf club with its 3 courses, nature trails in the forest, Le Touquet lighthouse and more. This restaurant certainly lives up to its name. Sand-colored walls, ocher furniture. The chef prepares light and balanced cuisine. New menus are created daily based on the fresh produce purchased. Fancy a coffee after lunch or another drink to continue your evening? Our bar is open daily from morning until late at night. This friendly atmosphere is perfect for a spot of relaxation and offers a unique panorama.